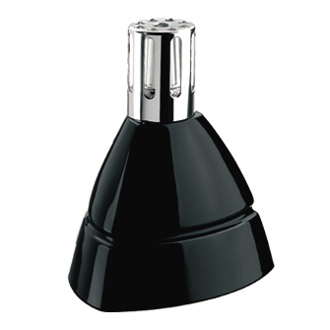 This Lampe Berger ceramic lamp features an Art Deco design in a brilliant black glaze. The lamp has a nice masculine appeal. Now retired this is the last of its kind! Supplied in a nice gift box with burner, funnel and instructions.